Fuddruckers Saskatoon serves the World’s Greatest Burgers handmade daily on freshly baked buns with a build your own produce bar and a sauce selection to die for! We also offer delicious salads, fries, milkshakes, & pies –our menu has something for everyone, including those with gluten intolerance. 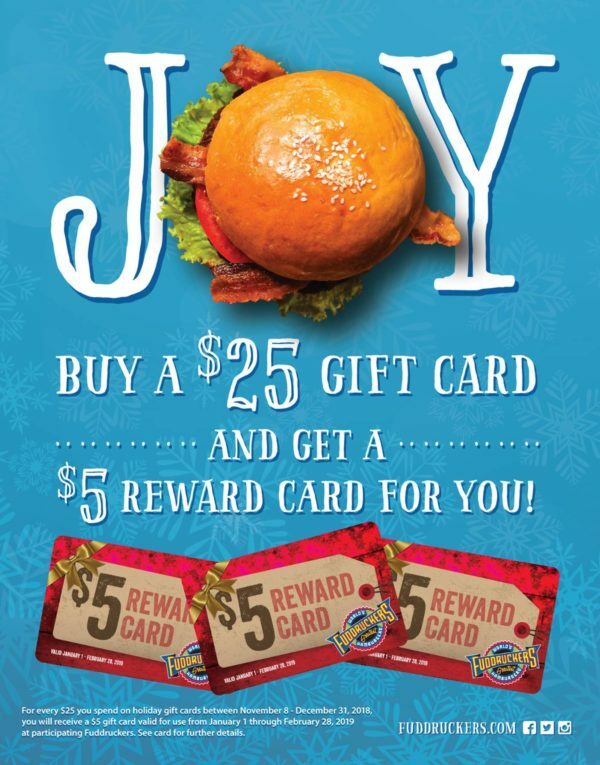 In addition, did you know that Fuddruckers has Saskatoon restaurant gift cards, Rucker’s gift cards and that we have a gift card reward program? 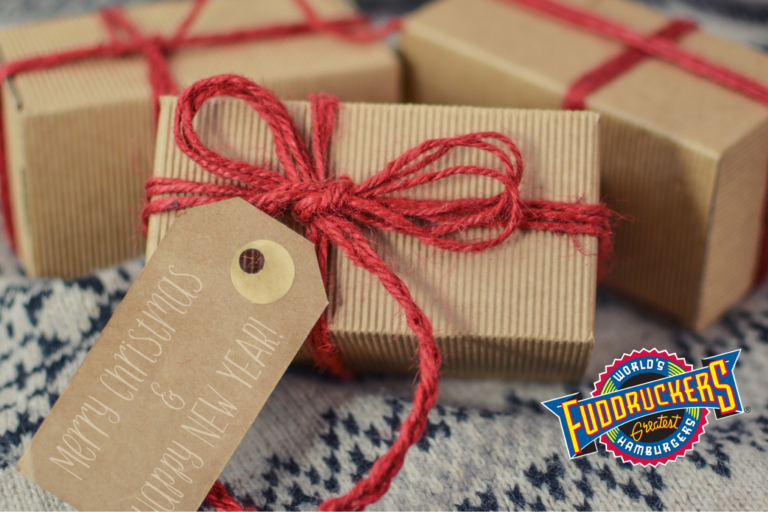 We are contacted about Fuddruckers gift cards throughout the year, but enquiries really increase when we near the festive season. In our latest Fudds news, we answer the most frequently asked questions about Fudds Saskatoon restaurant gift cards and Ruckers / Family Fun Centre gift cards. In addition, we wanted to share the Fuddruckers 2019 gift card reward program! Fuddruckers Saskatoon restaurant gift cards & Rucker’s gift card FAQs. Q: What denominations are available in the gift cards? A: Our gift cards can be any amount you want. Q: Are they paper copies, plastic cards or electronic gift cards? We have 2 types of gift cards. Our plastic, credit card style reloadable gift cards, which are only available for Fuddruckers Family Restaurant in Saskatoon. Q: Where do we purchase the gift cards? A: The plastic Fuddruckers Saskatoon restaurant gift cards are only available for purchase in the restaurant at the front till. The paper gift cards for Fudds, Rucker’s and the Family Fun Center can be purchased in either of Rucker’s two Saskatoon locations. 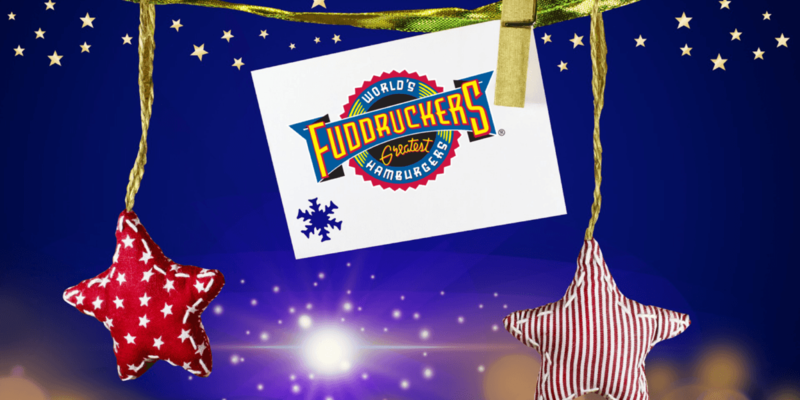 What is the Fuddruckers Gift Card Incentive program? Please note: This reward can only be redeemed between Jan 01 – Feb 28, 2019 – and is only valid at Fuddruckers Saskatoon location. Swing by and buy your gift cards today! They are guaranteed to be appreciated stocking stuffers for friends and family as well as staff and client appreciation gifts! Make the World a Burger Place!